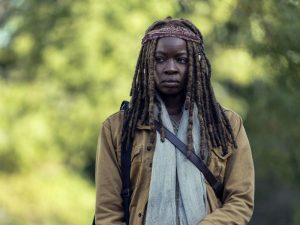 Daryl brings Lydia and Henry to Alexandria, opening old wounds for Michonne -- who once opened the town's gates to an old friend and another group of young people. Last edited by GateWorld; March 17th, 2019 at 10:30 PM. With the mystery lasting so many episodes this season...and the way the TWD/TWD-related social media feeds were hyping this one tonight, I had expectations. In a season that I've found has largely been a huge improvement over the last couple of years, I thought this particular episode was bland and uninspired. Yeah, this all seemed kind of random and not what I expected, avoiding the social media side of it so didnt even know it was being hyped.